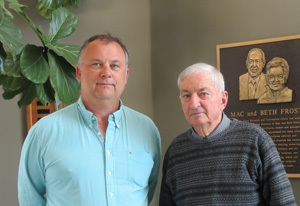 Tennessee Propedo (left), newly elected president of Sports Turf Canada, stands with Michael Bladon (right), the association�s first president. 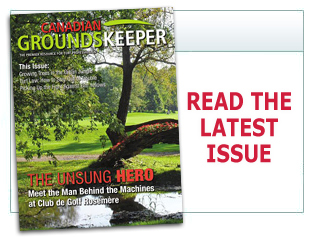 The Sports Turf Association (STA) has rebranded itself as a national association, changing its name to Sports Turf Canada to recognize members from across the country. The turfgrass research program at Alberta�s Olds College Centre for Innovation (OCCI) has been awarded a $2.3-million grant over five years through the Natural Sciences and Engineering Research Council of Canada (NSERC). The sand and rubber infill at Toronto�s Rogers Centre has been replaced with an all-rubber infill to extend its lifespan and create a softer playing surface.